Pakistani Nobel laureate Malala Yousafzai has expressed concerns over the recent escalation of India-Pakistan tensions, urging leaders of the neighbouring countries to settle the long-standing Kashmir issue through dialogue. 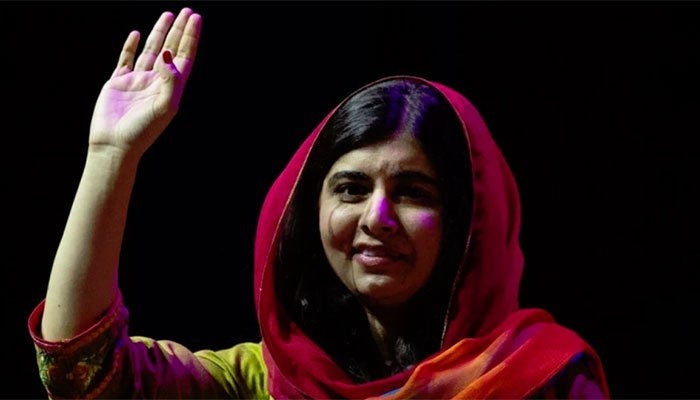 In a statement sent out to her 1.4 million followers on Twitter using the hastag #SayNoToWar, Malala appealed to both Pakistani Prime Minister Imran Khan and Indian Prime Minister Narendra Modi to "sit down, shake hands and settle the current conflict". "As a Nobel Laureate, UN Messenger of Peace, a citizen of Pakistan and a student, I am alarmed by the escalation of tensions between India and Pakistan - and concerned for people living on both sides of the border," she said. She said that all those aware of the horrors of war "agree that retaliation and revenge is never the right response – once started, it rarely ends." "Millions of people are suffering today because of existing wars – we don't need another. Our world cannot even care for all the people currently in peril," she said. "I ask the Prime Minister of Pakistan lmran Khan and the Prime Minister of India Narendra Modi to show true leadership in this difficult time: to sit down, shake hands and settle the current conflict and long-standing issue of Kashmir through dialogue," she added. She further asked the international community to support talks between the two nations in order to "help prevent loss of lives and homes". "Citizens of both countries know that the true enemies are terrorism, poverty, illiteracy and health crises – not each other," she further added.